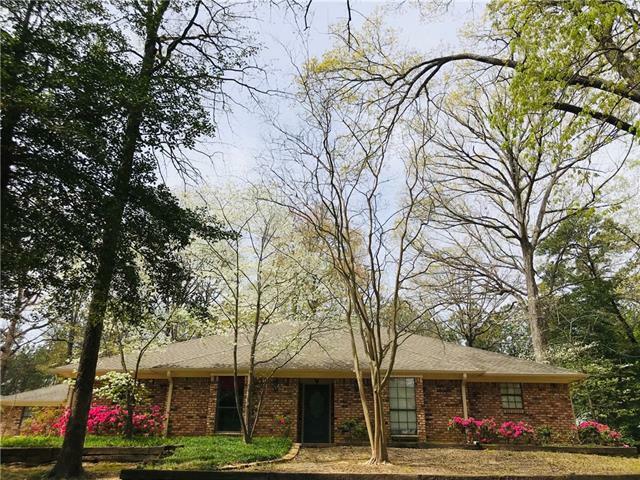 All Longview homes currently listed for sale in Longview as of 04/23/2019 are shown below. You can change the search criteria at any time by pressing the 'Change Search' button below. 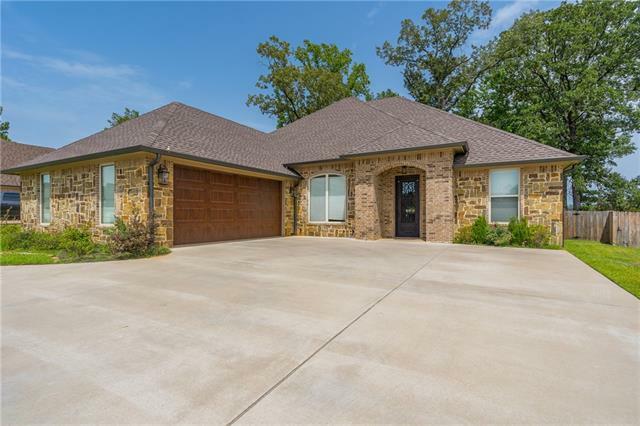 If you have any questions or you would like more information about any Longview homes for sale or other Longview real estate, please contact us and one of our knowledgeable Longview REALTORS® would be pleased to assist you. 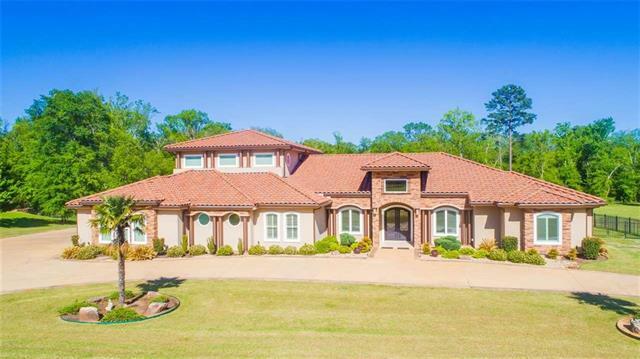 "This Mediterranean home was created with luxury in mind and contains 5 bedrooms, 5 bathrooms, 2 half bathrooms, overflowing 4 large garages, formal & informal rooms. Why pay for movie tickets when you have a theater at home? Upstairs also includes a game room with a stunning balcony view!This home makes the perfect escape at the end of a busy day. The detail put into this magnificent 7,000+SF castle is endless from the granite kitchen to the quartz in the bathrooms. 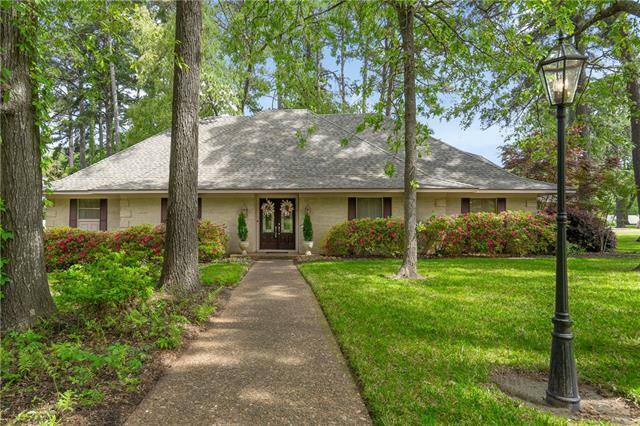 You will never want to leave"
"East Texas Living in Longview As you enter the gates of this handsomely refined Spring Hill neighborhood you're quickly reminded of what home should be. 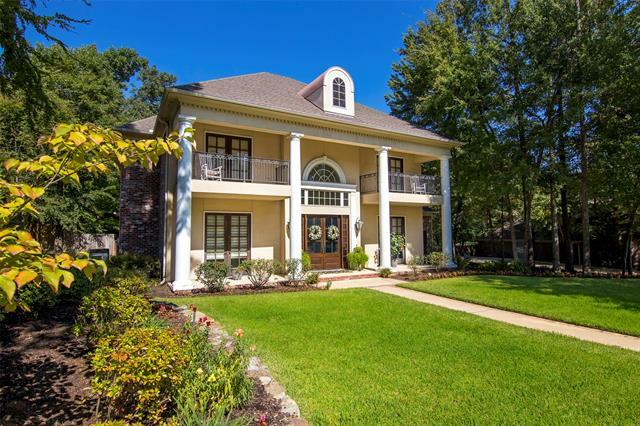 French charm and Southern luxury combine in this one of a kind and beautifully designed Scott Hamilton Home. Lounge by the dreamy infinity pool or escape to the HD movie theater or bonus room. Spacious living areas with soaring ceilings, chef quality kitchen, formal dining and executive's office make this home perfect for living or entertaining"
"Looking for Space? Exclusive Huntington Park 5 BR 3 full & 2 half bath 2 car garage on a large corner lot! 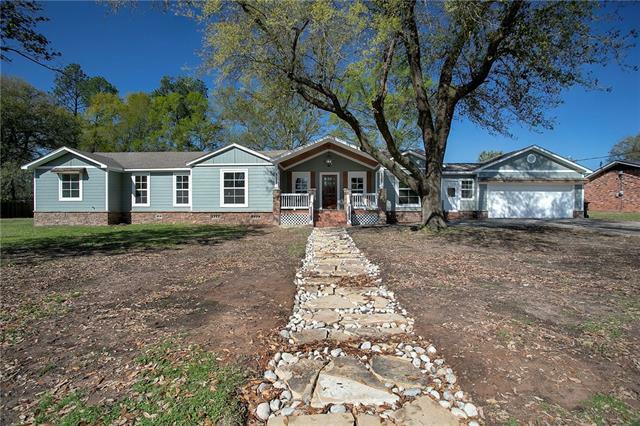 This home has wonderful updates from granite, tile, light fixtures as well as a new roof. Centered in the kitchen is a large island to ease in preparing for large gatherings. 3 BR's are downstairs and 2 BR's are upstairs with a Full bath. As you walk thru this home you can picture yourself making the most of all the spaces, enjoy being indoors with large rooms or outside where you enjoy "
"Welcome home! 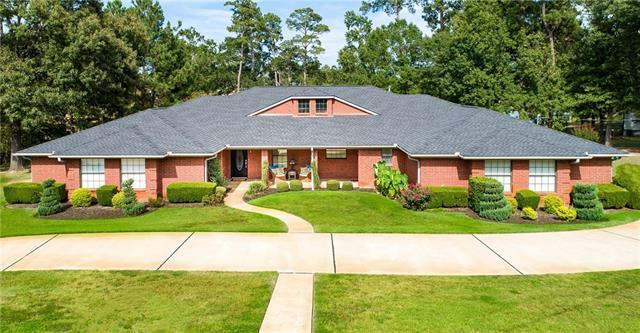 Immaculate 4 bed, 3.5 bath on .42 acres in SHISD with amazing open concept is the ultimate entertainment spot for you & your loved ones. Host family & friends in the large kitchen, a chef's dream! Walk-in pantry, custom cabinets & stainless steel appliances give you the kitchen space you want. Grab a cup of coffee from coffee bar & relax in impressive master sitting area. Incredible master bath & huge WIC are just a few aspects of this home that make it the beauty it is! Other 2 BR"
"Amazing views from this Honeysuckle Farms home on 1+ acre, waterfront lot!Property features gorgeous,totally updated 4 bed home with an AMAZING added bonus- an attached guest suite with 1 additional master, full bath, kitchen and separate entrance. Chef s kitchen is a dream!Beautiful granite and backsplash,SS appliances and an abundance of storage.Living room is laid out for both comfort and entertainment, featuring a brick fireplace and two sets of French doors leading outdoors to expansive p"
"Grand 4_4_3 home on 1.83 acres. Downstairs features soaring ceilings, guest bedroom, office, separate formal dining breakfast room laundry room. Oversized 3 car garage with storage room. Staircase has 2 landings. Upstairs bedrooms huge master suite, large master bath with garden tub large walk in shower, followed by elaborate sized walk in closet. Kitchen views of wildlife overlooking back acreage. Granite counters, tile island. Great for entertaining. Close to hospitals, shopping and dinin"
"Now offering a $2000 Buyer Credit!!! This your opportunity to own a one of a kind home built by NEW VINTAGE CUSTOM HOMES! This is a charming & upscale home situated on 2 lots in wonderful cul-de-sac location. Grand stone entry, split bedrooms, antique door to study, upgraded cabinets with furniture look. Kitchen features French hood with gas cooktop, reclaimed wood island, cedar beams, seed bins, farmhouse sink and dutch door leading to covered back patio with brick archways. 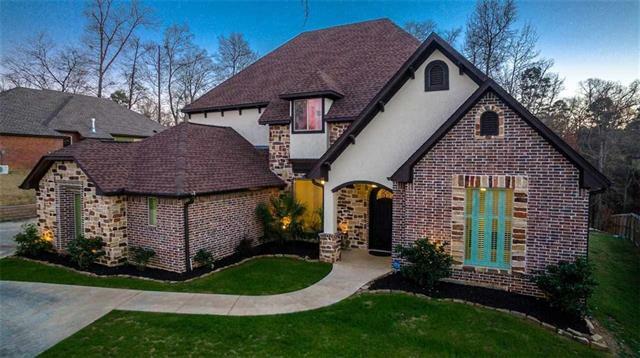 Brick and stone fir"
"Amazing 3 2 2 in highly sought after Fairway Oaks subdivision. Beautiful open floor plan makes entertaining enjoyable and easy! Property boasts large master bedroom with spa-like master bath and WIC. Formal dining, large family room with direct vented gas FP. Enjoy the large covered patio and oversized fenced backyard. Stainless appliances, large crown molding with large baseboards and window trim-out. Note the low maintenance wood like tile flooring. 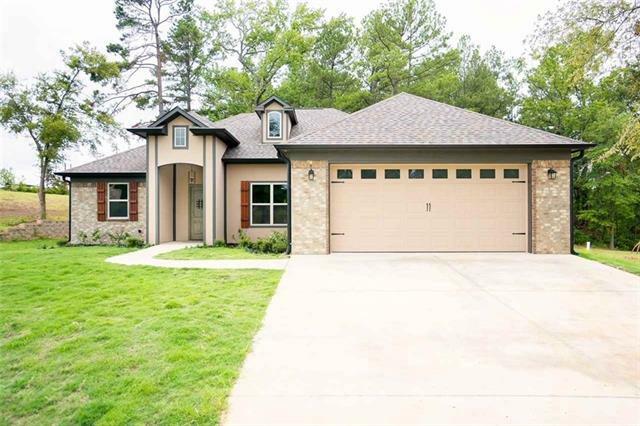 All custom made cabinets ensure plenty of "
"ENJOY YOUR PRIVATELY WOODED HOME NESTLED ON 2.543 ACRES IN THE MIDDLE OF LONGVIEW. THE LONG DRIVEWAY BOASTS A LOVELY COUNTRY SETTING. THIS UPDATED CUSTOM HOME HAS EVERYTHING YOU COULD EVER WANT OR NEED TO INCLUDE A SEPARATE BRICKED 1200 SF WORKSHOP OR COULD BE A GAME ROOM, A GREENHOUSE, SUN ROOM, FULL -SIZED LIGHTED TENNIS COURT, 2 LIVING AREAS, 4 BEDROOMS, 4 BATHROOMS, HARDWOOD FLOORS, GRANITE, FORMAL DINING AND IT WILL ACCOMMODATE A MOTHER-IN-LAW SUITE, IF NEEDED." "Newer construction Spring Hill home with open floor concept in Bull Run Subdivision with a pond by your driveway. Gorgeous 3 bedroom, 2 bath with a oversized 2 car garage sitting on almost three quarter acre corner lot. Upscale amenities such as stainless steel appliances, tankless hot water heater, wood-like plank tile flooring, lots of cabinets, gas cook top, granite throughout, high ceilings, crown molding, 8' doors, well thought-out laundry room, sidewalks throughout subdivision, drop zone o"
"Perfectly Renovated near Pine Crest Country Club! Come enjoy this amazing remodel by RS Properties, a complete renovation with exquisite finishes! The Living area has been enlarged, allowing more space! The fixtures, paint, wood flooring, windows, all have been completely replaced. Kitchen has new island, all stainless steel appliances, painted cabinets, amazing granite tops, and redesigned eating area! The Master Bedroom features a huge sitting area and master bathroom that is perfect! 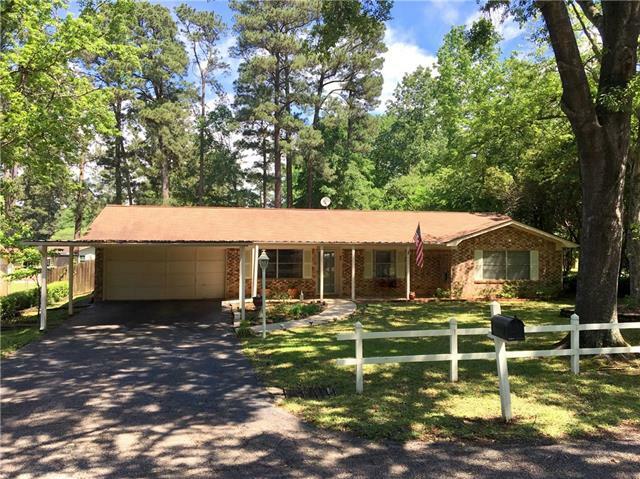 H"
"Beautiful single-story 3-2-2 home nestled in the tall, quiet pines of East Texas! Enjoy the comfort of an open floor plan that allows for the convenience of one's own space with central living, dining and kitchen area for leisure and entertainment! Spacious backyard with mature trees, gardens and bonus building suitable for gameroom, workshop, she-shed, mancave or storage! Could easily be converted into separate living quarters! It's the ideal outdoor escape! 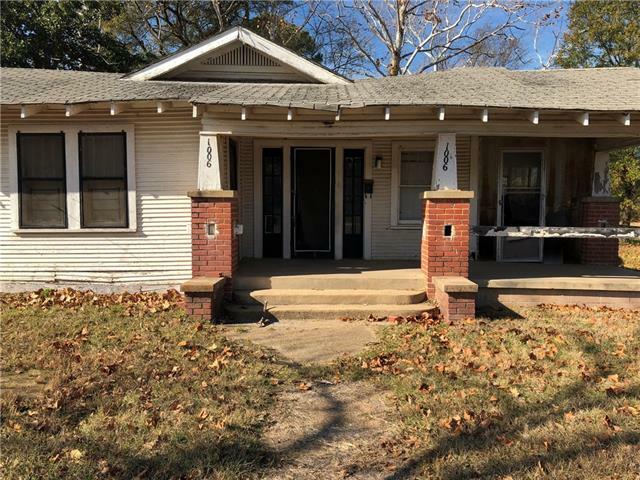 Updated flooring, fresh paint, reno"
"INVESTOR SPECIAL. PLEASE BRING ALL OFFERS, SELLER IS HIGHLY MOTIVATED. CASH ONLY. BUYER & BUYER'S AGENT IS TO VERIFY ALL SQUARE FOOTAGE, SCHOOLS AS WELL AS RESTRICTIONS."